The Weekend Go Go: Art Night Pasadena, 9th Anniversary of Ron Lynch’s Tomorrow!, Artisanal LA Fall 2014 + More! It’s that season: everything is happening every night all the time. Read on for a fighting chance at the weekend. AxS Fest is barely over but the City of Roses isn’t resting on its artful laurels. This Friday, ArtNight Pasadena continues to push the creative envelope with FREE music, dance, kid-centric events and, of course, art all over town. Beyond-the-canvas exhibits include the Luminosity color & light extravaganza, featuring Cynthia Minet’s radiant baby elephant and Tatiana Vasquez’s glowing tiger cub of ice at Light Bringer Project @ Day One. Gallery and guests are canvas for both video and audio projections courtesy of Freewaves’ #QuestiontheProjection, which asks how art can change the world at Side Street Projects. At Pasadena Museum of Art, Stas Orlovski’s Chimera features animated collage inspired by magical Russia and is accompanied by Steve Roden’s Sound, which utilizes wild hybrid instruments such as a banjolele. Go Go’ers, it’s not an art night without a banjolele. 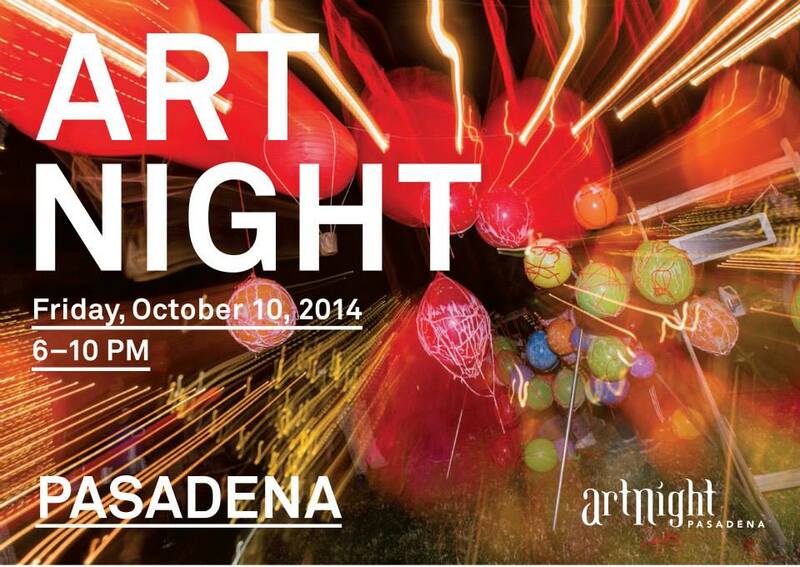 ART NIGHT PASADENA — Fri, Oct 10, 6 -10 pm. FREE — Various locations. For more info, go HERE. More Acts! More Fun! Bring a friend! Greatest hits. Mini-fest. Free trinkets. Expect all of the above and much, much more at the 9th Anniversary Show of Ron Lynch’s Tomorrow! As always, at midnight at the Steve Allen Theater on Saturday, madman impresario Lynch and his everything-but-the-kitchen-sink show (in a GOOD way!) celebrate their almost-a-decade anniversary with a mini-extravaganza of epic proportions. In addition to regulars such as Kate Micucci and Eddie Pepitone, the panoply of past guests includes Gabriela Crowe – opera singer, Michael Raynor – manipulator and Tony Sam – character king. Also, Jenny Lynne – swallower. With free beer and wine, at least you’ll be relaxed. 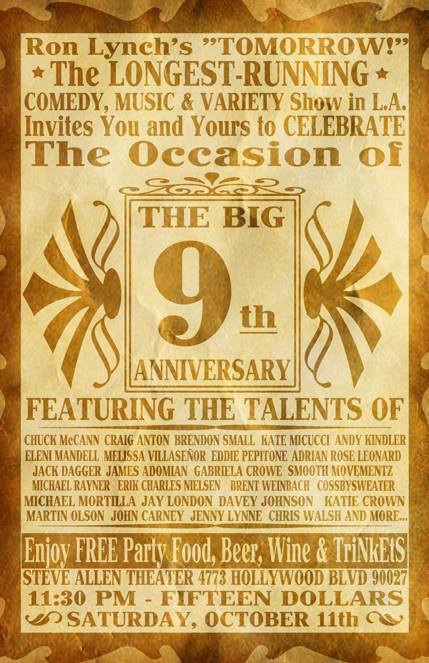 RON LYNCH’S TOMORROW: 9TH ANNIVERSARY — Sat, Oct 11, 11:30 pm – 2am. 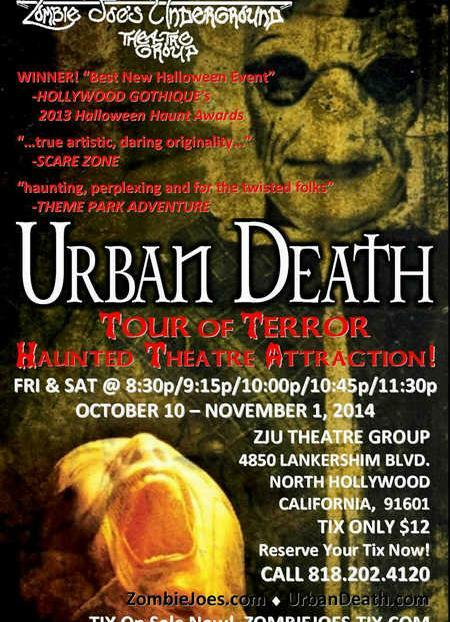 $15 — Steve Allen Theater, 4773 Hollywood Blvd, LA 90027; free parking in back! For tix and more info, go HERE. Here’s how to feel fall…. The weekend won’t exactly be nippy but pop on your tweed-patterned tee and head to Artisanal L.A. Fall 2014, where you can immerse yourself in all things autumn and pretend there’s a chill in the air. In addition to shopping 200+ vendors, including delish newbies Stowaway Ginger Beer, Buttermilk, Inc. and QUIN Candy, you can satisfy your urban homesteading jones with demos on Preserving Fall Produce, Making Fermented Sodas and Fall Tablescaping. Cookbook collectors will want to note that Aida Mollenkamp signs Keys to the Kitchen on Saturday. Check out Sunday’s double whammy of comfort food authors extraordinaire: Zoe Nathan Loeb signing Huckleberry: Stories, Recipes and Secrets from Our Kitchen and Terri Wahl autographing The Auntie Em’s Cookbook: A Musician’s Guide to Breakfast and Brunch. And boom…your holiday gift shopping is done. Finally, since adult libations (thankfully) know no season, you won’t want to miss the Middlebar: Cocktail Demo, How to Make Garden-Fresh Grenadine, and — most exciting — Crafting a Cocktail Garden. Ms. Go Go is polishing her green thumb as we speak. 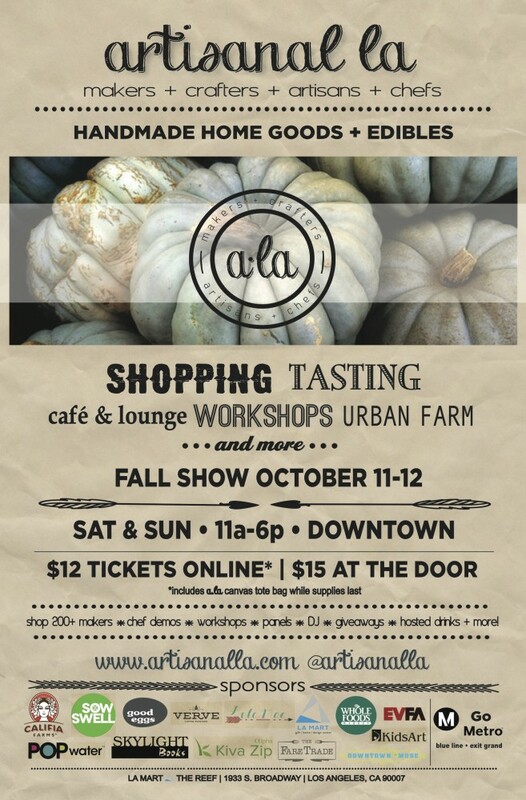 ARTISAN LA – FALL 2014 — Sat, Oct 11 and Sun, Oct 12, 11am – 6pm. $12 online; $15 atd — LA Mart ~ The Reef, 1933 S Broadway, LA 90027. For tix and more info, go HERE.